Vintage ladies Rolex from 1923. Product code: 1060 Categories: Sold Items, Sold Rolex Watches. This is one ladies Rolex that looks so elegant and stylish, it will always be commented on. The round dial has been re-finished to such a high standard, and was re-painted in its original style of balck Roman numerals with the 12 in red. 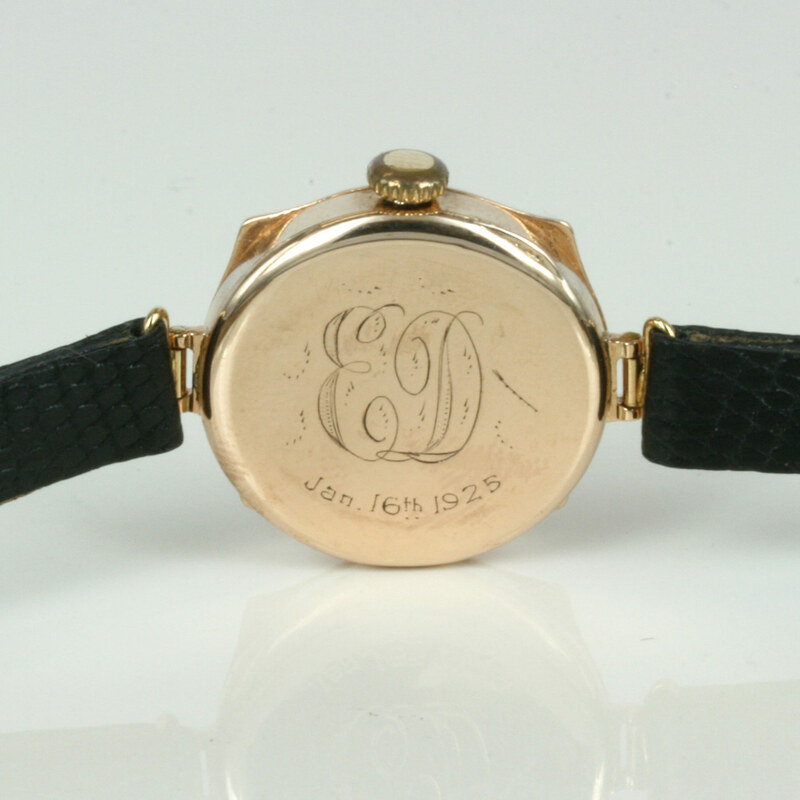 Made in 1923 and presented to someone in 1925, the 9ct gold case was made by and stamped ‘W & D” denoting Hans Wilsdorf and Alfred Davis, the founders of Rolex. The case measures 25mm across and looks simply elegant on the wrist. Complete with a 15 jewelled manual wind Rolex movement, this is one Rolex that stands out from the crowd.